Lady-Lane Farm is a small, traditional, sustainable dairy that prides itself on its efforts to be environmentally friendly, with the highest regard to the well being of our livestock. Lady-Lane Farm is owned and operated by Garry J. Hansen. Garry is a third generation dairy farmer. For five years he was a partner in the family dairy. Garry made the decision to farm on his own in May of 1992, at which time he established Lady-Lane Farm. Lady-Lane Farm is located in Mulino, Oregon, ten miles south of Oregon City, nestled in the scenic valley of the Milk Creek Basin; of which Milk Creek flows through Lady-Lane Farm. Coincidentally his farm is literally next door to the family dairy that he grew up farming. Jersey milk is notably higher in calcium, protein, and nonfat milk solids compared to conventional milk. These qualities enhance the product’s creamy texture and taste. All-Jersey® and Queen of Quality® trademarks are placed only on products made from 100% Jersey milk. The Jersey is the smallest of all the dairy breeds and has less impact on the environment. Simply put; they eat less and produce less waste. Our ladies are very important to us. Lady-Lane Farm is home to approximately ninety purebred registered Jersey cows. 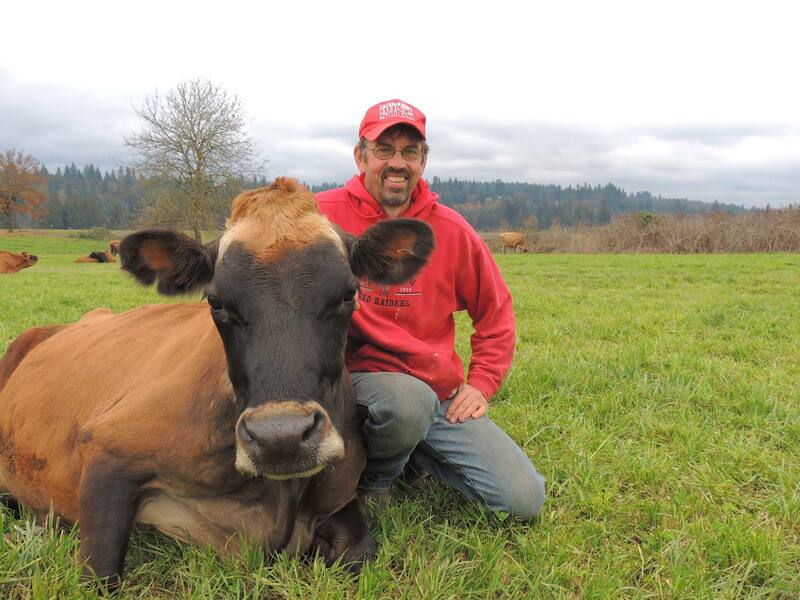 Garry chose the Jersey Cow as the sole breed for his dairy due to their superior milk components and efficient conversion of feed to milk. They have a higher tolerance for hot weather and are well known for their longevity in a producing herd.We select quality females and strive to produce the best milk possible. 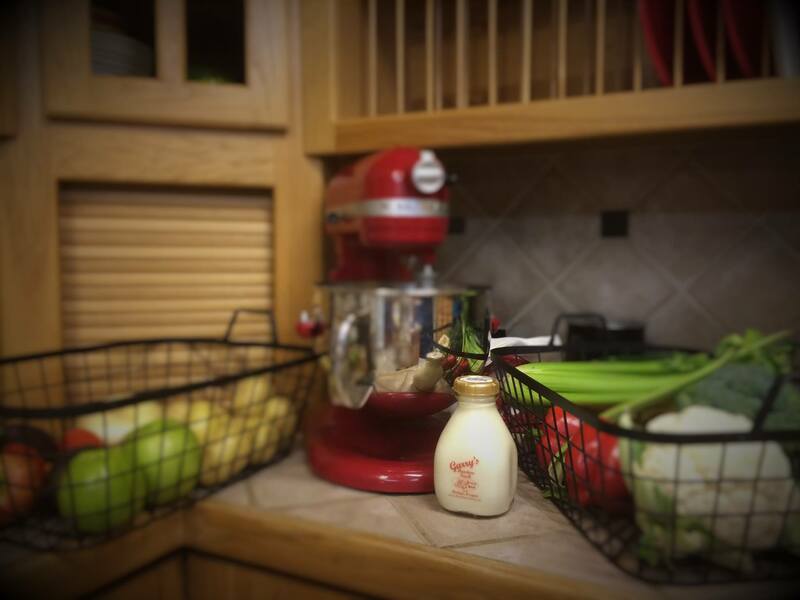 Garry’s Meadow Fresh Jersey Milk is provided in glass bottles to be reused and reduce waste. Glass bottles can be reused almost immediately; it goes back to the farm and is washed, sanitized and refilled. This process is much faster than recycling plastic or carton containers. Think of how much energy is used in recycling these glass alternatives. Please Rinse and Return your glass bottles to any of our retail locations. 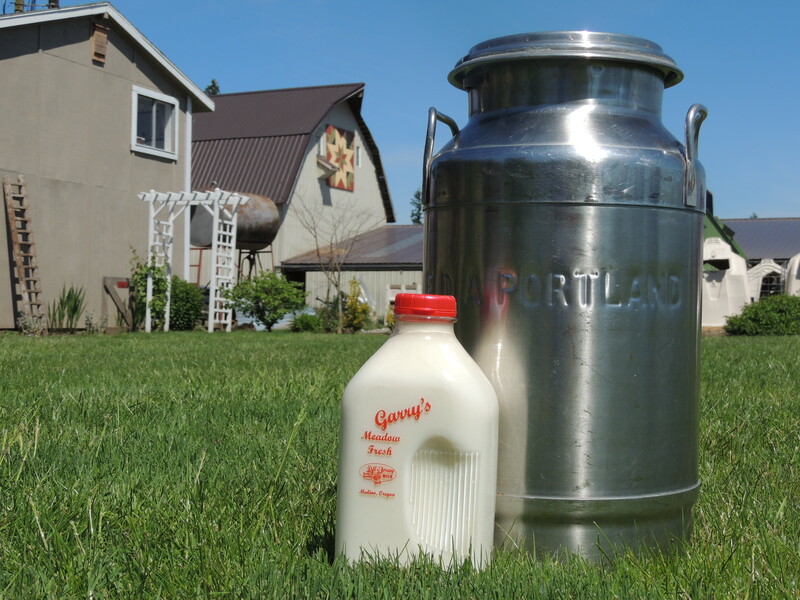 Garry’s Meadow Fresh All-Jersey Milk Products are available locally.